Liz Simons is chair of the board of the Heising-Simons Foundation. A former teacher, Liz worked in Spanish-bilingual and English as a Second Language (ESL) classrooms, and subsequently founded Stretch to Kindergarten, a spring-summer early childhood education program. She currently serves on the Leadership Council of Too Small to Fail, on the advisory council for Stanford University’s Graduate School of Education, and on the advisory board of the Stanford Center for Philanthropy and Civil Society, as well as on several boards including The Marshall Project, The Foundation for a Just Society, Math for America, and the Learning Policy Institute. She volunteers at The Beat Within (a magazine by and for incarcerated youth) and as a storyteller in a transitional kindergarten class. 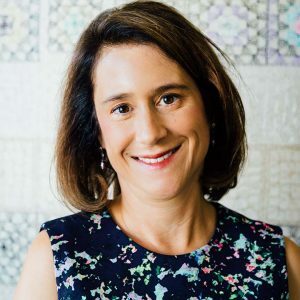 Liz earned a bachelor’s degree in journalism from the University of California, Berkeley, and a master’s in education from Stanford University. Liz Simons and Mark Heising founded the Foundation in 2007 and joined the Giving Pledge in 2016, publicly committing the majority of their wealth to philanthropic causes. You can read the letter they wrote about why they joined here.